Raider was brought to Holzinger Kennels (located at the MN Horse and Hunt Club) in 1995 to be trained as a gun dog for owner Rick Gerth. While Terry Holzinger was training Raider on advanced handling he came to the conclusion that he had what it takes to become something very special in the Labrador world. His qualities included an intense retrieving drive, relentless perseverance, strong natural point, very trainable, stylish, bold, good looks, good bloodlines and an awesome temperament. Terry contacted Karen and Matt Cashman, who were his co-owners in Cashzinger stud dogs to consider Raider in the stud dog program. We worked out a co-ownership agreement with Rick Gerth to advance Raider’s training program; promote hunting titles on him and eventually to become one of our new stud dogs. As Holzinger and Cashmans went to work and Raider’s talents excelled he went on to acquire his Senior in 5out of 5 passes, and Master title in 5out of 5 passes in A.K.C. hunt tests, Master in NAHRA. Terry continued to run Raider in A.P.L.A. events to achieve his CP, Master and Grand Master titles. Raider won the 2001 U.S. Open Pheasant Championship - Open Flusher Class Running with Terry Holzinger & Todd Haferman and Raider & Terry won the Cabela’s Sportsmen’s Quest Top Gun Class. Raider’s lineage descended from the American and British Field trial bloodlines and has five generations of U.S. Open Pheasant Championship winners. He is well known for consistently throwing his exceptional qualities into his offspring. 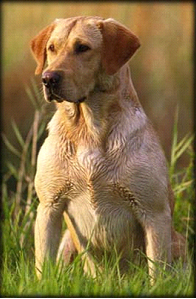 They tend to mature quickly, excel to the highest levels from Agility, Tournament Hunting to various Hunt Tests. Before Raider knew what a whoa command was he would stand on point. You could try to encourage him to break point and flush but he would give you a quick glimpse and look back on point without moving. Raider loved to get attention unless there was something to retrieve. When I would show him to people I could not have a dummy around or even in my back pocket. If he knew there was something to retrieve that is all he wanted to do. Raider is gone now and everyone that knew him knows he was a very special companion. I feel very fortunate to have stood next to him while hunting or campaigning him. His traits live on in the quality offspring he has produced for us to enjoy.